Carving a Dream book by Robb DeWall. 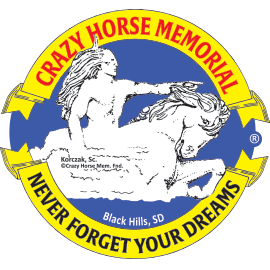 A photo history of Crazy Horse Memorial® and the Ziolkowski family. Includes a year-to-year chronology of the progress and dramatic photos taken by Korczak of his sculpture. Thirteenth revised edition, August, 2008, partially updated through 2011. 60 pages. 9" x 12".